Concrete block, also known as a concrete masonry unit and sometimes called a cinder block, typically has one or two holes or voids to reduce the weight of the block. To estimate how much grout is needed to fill those voids you need to find the volume of each void and multiply that by the number of voids in the wall. Start by measuring the length, width, and height of the holes in the block in inches. Then multiply those dimensions together to find the volume in cubic inches. Use our volume calculator to simplify this process. The next step is to find the number of voids in the wall. This can be done by counting the number of blocks in the wall. Use our concrete block calculator to find how many blocks are in your wall. If each block has two voids then multiply the number of blocks by 2 to get the number of voids in the wall. Now, multiply the number of voids by the volume of the void in cubic inches to find the total grout fill volume in cubic inches. Divide the final number by 46,656 to find the volume in cubic yards. A conversion calculator can make this easy. 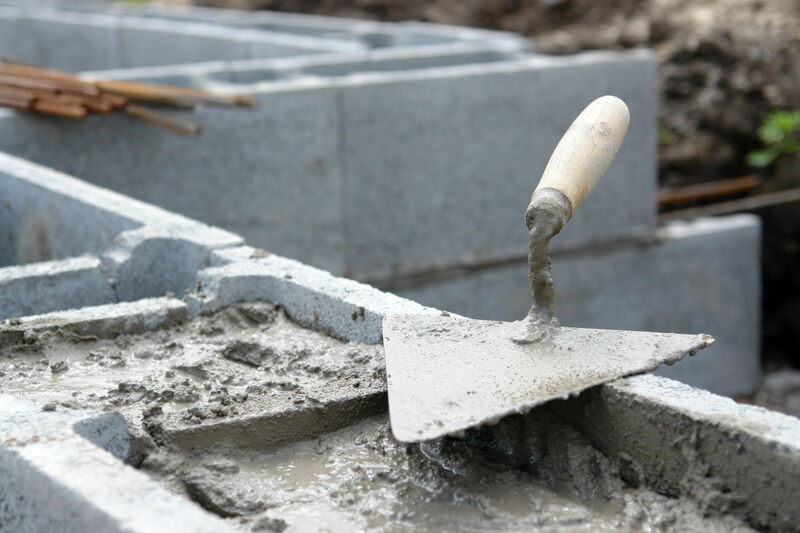 Check out our useful tools for planning a concrete block installation.